We install & repair all kinds of ceiling, wall & exhaust fans for home, offices & shops etc. Our company has gained name and fame in offering Electrical Fan Repairing Service to the clients. This service is highly admired amongst clients for its premium quality, the long service life of machines and functional accuracy. We offer this service as per the various specifications of clients in compliance with the quality standards. 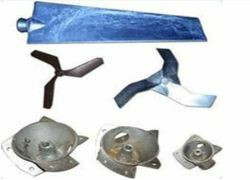 Our firm has made unbelievable breakthrough in the providing Ceiling Fan Repairing Services. Attributed for its flexibility and reliability, these services are broadly demanded. More to this, we deliver these to our clients after understanding their budgetary requisites. Clients can acquire these services at most affordable rates. The high volume, low speed (HVLS) fan is designed to circulate the air in your facility more efficiently and effectively. all kind of fan winding, repairing, installation, etc. Fan, Usha Fan, Bajaj Fan, Khaitan Fan, Orient Fan, Ortem Fan, Polar Fan, Gec Fan, Cool Home Fan, Indo Fan, Orpet Fan, Remson Fan, Havells Fan etc.